President Daljit Singh Shergill, known as Shergill Sahib to hundreds of thousands of adherents worldwide, left his physical body at 8pm GMT on 6th October 2014. His passing took place at Queen Elizabeth Hospital surrounded by family and friends. The cause of death was complications due to heart failure. He was 70 years-old. An outstanding pioneer in many fields with a deep and compassionate insight into the human condition, he established permanent institutions, created spectacular events, and produced a prolific Sikh profile doing Community Work. The first President to serve consistently a term of 20 years at Guru Nanak Gurdwara Smethwick, he forged links with the wider community on interfaith issues, sat on race consultative committees and set up the first Sikh welfare provision within the Gurdwara. When he arrived in the West Midlands in 1961, to meet his younger brother and father who had fought in World War II, he only had five pounds in his pocket on his arrival. He was an active custodian and was part of a union fighting injustices in the workplace. He was a formidable sportsman and played tug of war professionally as a team captain. A deeply devoted Sikh, Shergill Sahib has been an inspiration and icon, who motivated thousands to embrace the Sikh way of life. Through his personal efforts, the Sikh community in Smethwick started to see great changes taking place. Shergill Sahib became President in 1984. 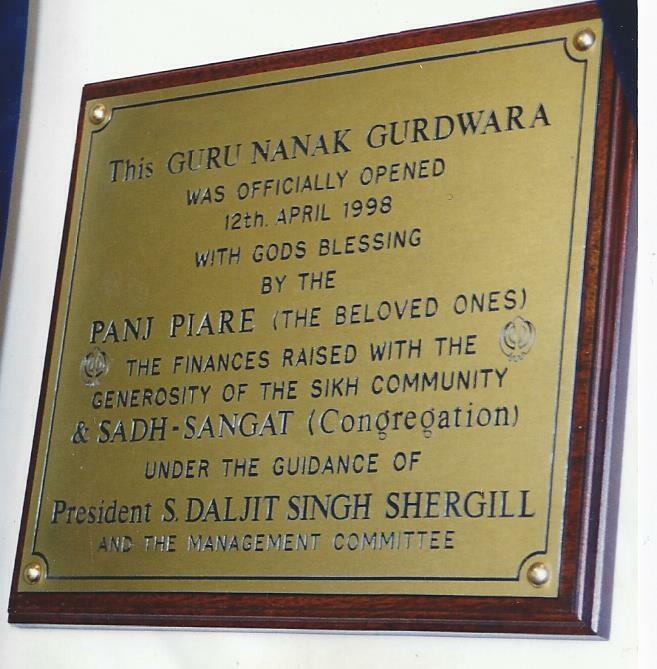 He raised £1.4 million before starting work on the Gurdwara Sahib in the nineties, which was completed in 2002. This remarkable holy building changed the skyline of Smethwick. He put Smethwick Gurdwara on the international stage. Traveling extensively in the eighties, Shergill Sahib crusaded tirelessly to educate, uplift and enlighten everyone he met. His basic message was “Freedom is your birth-right, take Amrit and be free from kaljug.” He went to Romania with five Singh’s to distribute aid. He financially supported Khalsa Aid and United Sikhs after the Tsunami, when they required local support. Shergill Sahib became Sandwell Sports Personality of the Year for all his hard work in starting the first Sikh Games under the banner of Shaheedi Tournaments, which still take place in the UK. Joining the Labour Party as a member, he had very close ties with Lord Kang, Councillor Hussain, Adrian Bailey, Tom Watson, John Spellar and Darren Copper. 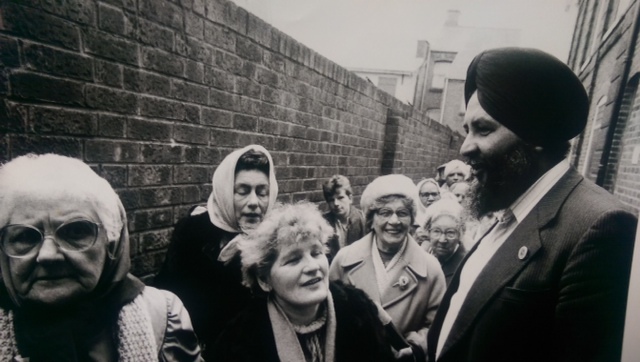 Working closely to start a Sikh school in Smethwick was one of his wishes. He was a champion of women’s rights, and believed that it is women who are the backbone of society since 1992 when he inaugurated Samaj Sadhar, which helps Sikh families and women suffering domestic violence with mediation in marriage breakdown. He kept community relations at the forefront he arranged a meeting with police and community regarding the Besti play to bring down tension and to find a solution at the time. Over the years he worked very closely with many organisations, especially Sikh Federation. Bhai Amrik Singh was like a brother to him, and always supported all issues facing Sikhs in the UK and abroad. He established the vision of SYCC 2002 the first of its kind in UK it was providing services to the community, youth empowerment programmes, education classes, gym, IT lab and much more this project cost 1m which was lottery funded. Standing six feet four, his powerful and dynamic presence dominated any gathering. Fearless, outspoken yet humble, he could be both charming and daunting as the occasion required. His openhearted acceptance of everyone along with an uncompromising insistence upon excellence made him a formidable sikh leader. The Tribune link below states that in 2003, Shergill Sahib had wanted to form a Sikh Council, which today has become a reality and represent British Sikhs in Parliament. In accordance with Sikh tradition, and his wishes, cremation will take place on Wednesday, 15th October at Guru Nanak Gurdwara Smethwick at 1:45pm till 2:45pm then 3.15pm at Sandwell Crematorium then back to GNGSmethwick. Condolences have been received from the Sikh Council UK, Management Committee of Gurdwara’s around the World, Sikh Federation, Lord Mike Whitby on behalf of PM David Cameron, Tom Watson on Behalf of Ed Miliband and the local Labour MP, Councilors, and Mr/Mrs Tauque, Lieutenant to the Queen.